Leila A. Cornelison, daughter of Louella (Wion) Andrew and Allen Andrew was born July 8, 1908 in Grand River, Iowa. She passed from this life Tuesday, October 5, 2010 at Big Spring Care Center in Humansville, Missouri at 102 years of age. Leila graduated from Kellerton High School. She was united in marriage to Elmer Allen Cornelison on August 7, 1927; and three sons, Owen Richard, Deral Duane and Edward Doyle blessed this union. 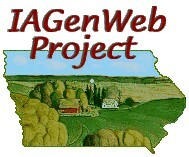 Leila and Elmer farmed in Union County, Iowa and raised pure bred Yorkshires. They traveled the country showing their prized Yorkshires. Leila and Elmer were extensive world travelers, having traveled to South Africa, Japan, England and many other places. She worked for Meredith Publishing from 1945 to 1973 as a proof reader and layout person. Those relatives who preceded Leila in death were her parents; husband Elmer; two brothers, Doyle and Giffen "Bill"; three sisters, Blanche, Alice and Winifred. She leaves to cherish her memory, son, Owen Richard Cornelison and wife Dorothy of Port Aransas, TX; son, Deral Duane Cornelison and wife Elisabeth of Humansville, MO; son, Edward Doyle Cornelison and wife Shirley of Urbandale, IA; 10 grandchildren; 15 great grandchildren; 4 great great grandchildren; other relatives and friends.